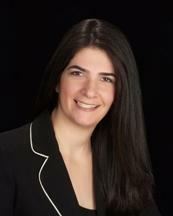 Ms. Pacheco graduated from University of Miami School of Law in May of 2000. Since then she has practiced in the area of insurance defense for over 8 years. She worked both as in house counsel for an insurance company and for an insurance defense firm. She has conducted and participated in over 15 jury trials. She has handled the defense of personal injury protection cases, medical malpractice cases, nursing home cases, negligent security cases and personal injury cases. She also practices in the Family law arena and has handled child custody disputes, divorces, paternity actions and other family law cases. Ms. Pacheco is a member of and is involved in the Cuban American Bar Association, the Dade County Bar Association and of the Family Law Section of the Florida Bar.